While the last couple of weeks have been taken up with thinking about the Budget and its disproportionate impact on poorer Australians, another, more spectacular, area of government disregard for the lives and rights of its citizens has gone relatively unremarked. This is a problem that goes to the heart of democracy, revealing not only the distance between Western governments and their citizens, but also the acceptance of that gulf as a fact of modern political life. In April, it was revealed that two Australians, Christopher Harvard and Darryl Jones, aka Muslim bin John (also a New Zealand national), were killed by an American drone strike in Yemen in November. 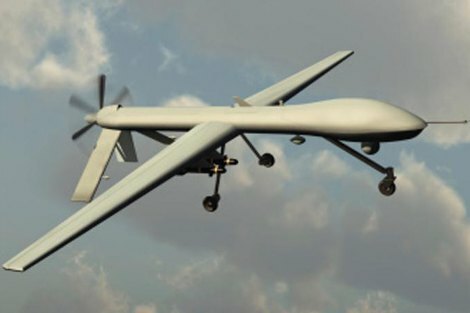 John Key, the New Zealand Prime Minister, has said his government has taken no legal advice in relation to the drone program's legality but will, notwithstanding the killing, continue to share intelligence on its nationals with the US. This problem does not stop across the ditch. Jeremy Scahill, author of the book Dirty Wars, makes the point that the Australians are heavily implicated in sharing information leading to drone strikes, and that the Australian Government seems indifferent to what the US does with the information Australia shares with it. The deaths of Anwar al-Awlaki (who was suspected of Al Qaeda links) and his son (who was not) in 2011 showed that the US itself (notwithstanding its famous Constitution) is quite comfortable with drone strikes against US nationals. Both Australia and New Zealand have abolished capital punishment. Nevertheless, despite the fact that this represents the most extreme violation of a state's obligation of protection towards its own nationals, people in these countries do not seem worried about their governments' indifference to or collusion in their compatriots' deaths at the hand of a supposed ally. The mantra of 'terrorism' and the tyranny of distance doubtless have much to do with the public's lack of concern. We have, after all, been told repeatedly that we are threatened by Al Qaeda and most of us know little of Yemen, its peoples or its complex politics intertwined with tribalism and regional power struggles. If there is one thing, however, that the Snowden revelations have made clear it is that government surveillance powers such as wholesale data collection, call recording and metadata trawling, while defended with reference to terrorism, affect broad swathes of people who have absolutely nothing to do with terrorism or (the increasingly nebulous and ill-defined) Al Qaeda. The 'nothing to hide, nothing to fear' mantra has, once again, been revealed as illusory; a lesson we should already have learned from such debacles as the persecution of Dr Haneef and the horrors of Guantanamo. Governments feel sufficiently unconstrained by public opinion that they are prepared to violate their own legal safeguards (think the Fourth Amendment to the US Constitution), where these even exist. Against this background, the fact that they are happy to kill us as well should not only raise questions about what our democracies have become but also fill us with real fear. Right on, young Justin. All those young girls in Nigeria and Yemen and who knows where else, waiting to be taken away and the nasty Americans trying to stop it. And "... the fact they are happy to kill us ..." is total over-statement. People who choose to go to war are in danger of being killed. The naivety of this article is stunning. So easy to 'catch' and inadvertently share government and world indifference; bit like the massive reduction of aid to people we will never meet... Thank you for the reminder. Au contraire, John Frawley, what you call niavety is clarity. And clarity is the counterbalance of profound thoughts. Reading Eureka Street on line, there is no shortage of criticism towards Australia,, England and the USA. or Tony Abbott, Scott Morrison, John Howard, George Bush Sr and George Bush. Yet there seems to be complete silence in regards to extreme Islamic groups such as Al-Qadea, Boko Haram, Muslim Brotherhood terror group and many other Islamic terrorist groups who terrorise persecuted Christians all over the world. Well Australia is a free country and every one has the right to express his/her or their views. God bless Australia. Thank you for this article. I knew Darryl Jones aka Muslim bin John personally. He was a beautiful young man who maybe naive did not deserve being wiped out by a targeted robot from a foreign space. He was collateral murder by a so called legitimate govt he was not the target! nor the other young Australian man. I ask who is the terrorist in this situation? Au contraire Bernstein, Justin Glyn is not only stunningly naive but deeply confused. The logic of his morality is hard to fathom.He seems more concerned about protecting deluded young Australians who join Al Quada groups than efforts through drone attacks to destroy these groups and prevent the murderous violence they inflict on thousands of innocent people. Westerners who join and sometimes fight for a movement that butchers their fellow countrymen could b e deemed traitors. Dennis, if you were right I would agree. Dennis tell me while others butcher - we bomb! Who is the one without sin! Do you honestly believe western intelligence! Now who is being naive! It’s a matter of cause and effect Maggie. Terrorists butcher and the West responds. Since the mid-1990s they have murdered thousands of innocent civilians in the West and elsewhere, their biggest success being the massacre of 3000 Americans on September 11, 2001. Since then there have been a dozen more such terrorist attacks around the world, including two in Bali which killed about 200 people, including around 100 Australians. The Western powers have responded by doing all they can to stop such carnage, including the use of drones. What are you suggesting? That the West should not try and prevent such attacks? We are dealing with ruthless murderous thugs here who exalt in every Westerner they kill. .